I think everyone should feel special on Valentines Day. I feel a bit of stress on Valentines Day because I don’t just think of the people that I love; I also think about people who might feel unloved or left out. I hope that everyone will simply find a way to show love to someone else and then that love will be returned. Maybe the love won’t return with your timing or exact preferences, but it will be returned! I have gathered a few items that can express your love and care. If you can’t get a gift, create a beautiful valentine card for free, or simply write a note on a piece of paper. Please just don’t wait to let someone know you love them! The flowers shown below are beautiful and will last forever. I love getting a bouquet of real flowers, especially for the smell, but these are a wonderful alternative that can be placed somewhere special in your home and be a reminder of the love and care of the person who gives them. These are high-quality silk flowers that look realistic and have a satisfaction guarantee. There is also a discount on the flowers through February 28th! Valentine’s Day Coupon – Take 10% OFF on total purchase by using coupon code: VADAY2018 at NearlyNatural.com. This coupon is valid through Feb. 28th. Shop Now! Flowers are always a kind and thoughtful gesture on Valentines Day. 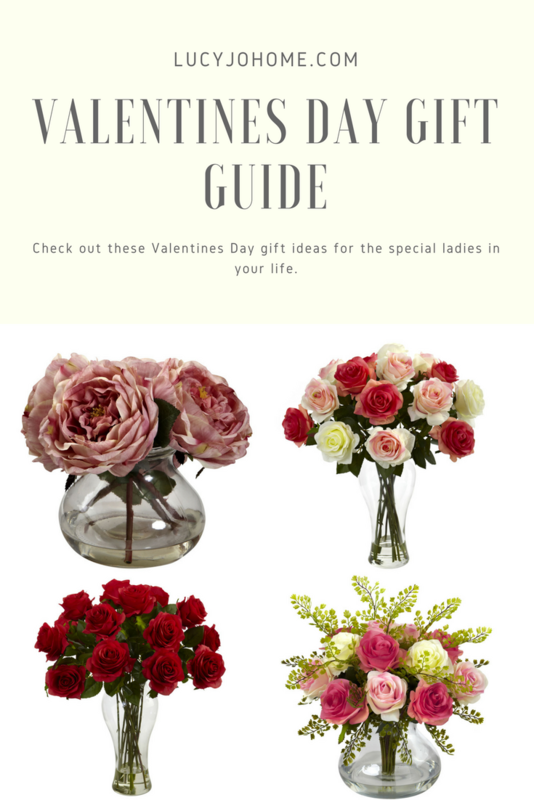 Combine flowers with a thoughtful Valentines card/note and you have a fail-safe gift. 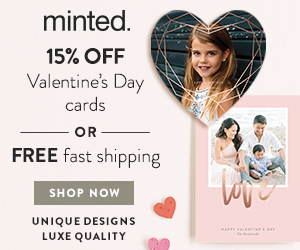 Minted has beautiful Valentine’s Day cards to choose from. If you are giving a gift to a mother, a card with the faces of her husband and children would be so special. Another wonderful gift is jewelry. These necklaces are affordable and pretty. 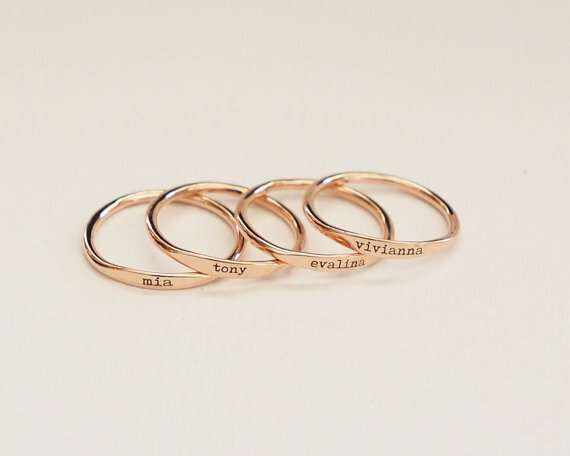 I also love rings that highlight the names of those a woman holds the most dear…her family. Chocolate is always a winner. Most women love to have some quality chocolate around to indulge in occasionally. Try to find out what kind of chocolate they like the most. Quality is key here; it is better to get less and have it be really good than get more and have mediocre chocolate. These watches are super cute and have Valentines colors and themes on the interchangeable wristbands. If your lady needs a watch, this would be a fun one. Scarf, hat or gloves. It is still really cold here and warm weather gear is never wasted. No matter what you decide to get the special woman in your life, make sure that she feels the love and care you have for her. If gifts are not her thing, but time is, arrange a babysitter and plan a fun date. If she feels your love through acts of service, cook her dinner and do the dishes. Lastly, a gift means very little if there is not the actions and words to back it up. If you get tongue tied, write a note and try to match your gift with a show of love. Her real blessing is your love, not the gifts!